In March of 1882, the local press in Tombstone published two recent fire-related events. Local concern over fire ran high, and citizens hoped to avoid a repeat of the great fire of 1881. As Billy’s building was taking shape at the address of 533 and 535 Allen Street, it came very near to being destroyed when fire broke out next door at the Calisher store, located at 525 Allen Street. This early photo of Allen Street taken not by C.S. Fly as some have claimed, but by California photographer Carleton Watkins, and shows the store sign on the right of David Calisher’s father, M. Calisher. One fire reported on was the result of a marriage gone bad, and when the disposition of their mutual property was forthcoming, the husband chose what he saw as the simplest solution. He burned the contents inside their home, as well as the home itself. Though the act was not condoned, it was noted that the location of the destroyed home was in a less populated area, to the west of the Vizina Mine, therefore of less risk to other structures. Many believed that the other fire reported had criminal intent behind it, as evidence found on the scene was of a troubling nature. Both of these incidents were mentioned in the Weekly Epitaph of March 6th, 1882. 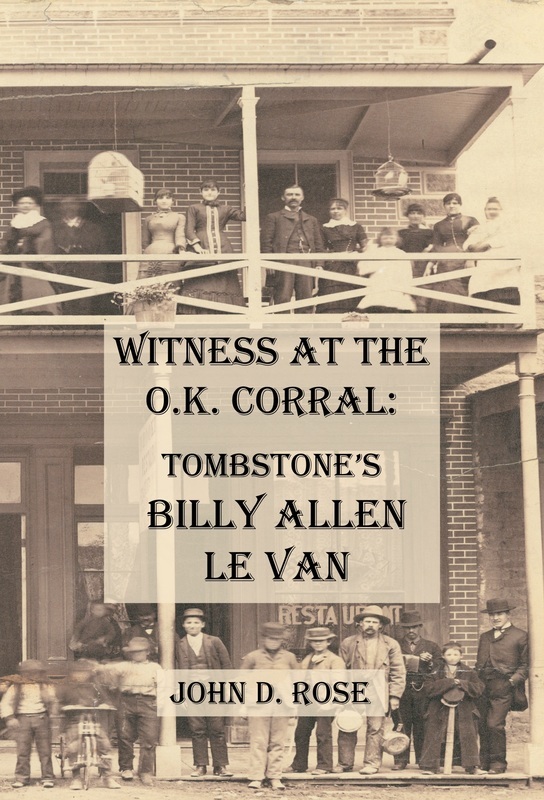 “Last night, for the second time in the history of Tombstone, the incendiary’s torch was applied with the view of working destruction to the property of the owner, and as a necessary sequence, that of his neighbors. The circumstances surrounding this last act, unlike those of the first, are devoid of the least show of justification, supposing there could be any justification for so diabolical an act. The circumstances of the first were briefly these: a man and his wife living in the sparsely populated region west of the Vizina mine, and being at odds with each other, the man, to settle the question of a division of household goods, set fire to the cabin, and burned it and all its contents. The isolation of the cabin was such that there [was] little or no risk of the fire spreading beyond its walls, which it fortunately did not. Great and justly deserved indignation prevailed at that time at the atrocity of the act. “The deed of last night, viewed in any light that it may be presented, is simply damnable. Notice had been published in the EPITAPH that the water in the mains of the Tombstone Water, Mill & Lumber company would be turned off from 8 to 12 o’clock, which act would leave the fire department comparatively powerless. We now come to the [second] incendiary act. Somewhere about a month ago one D. Calisher, owning a store and doing business on the north side of Allen street near the center of the block bounded by Allen, Fremont, Fifth and Sixth streets, made an assignment of his stock for the benefit of his creditors, and said stock had been nearly all closed out at private sale, by the assigned. Last night between 10 and 11 o’clock Policemen Kinney and Poynton were coming down the street past the store of Calisher, when they saw smoke coming out of the front of the building and a fire burning inside near the rear of the store. “They instantly gave the alarm, and made a dash at the doors and broke them in and rushed to the scene of the blaze which was climbing up the shelving to the ceiling on the east side of the store. They were not one minute too soon, as it had got a good headway and in a moment more the pine ceiling, as well as the shelving would have been one sheet of flame. The fire department were out in force a few minutes later, and with the aid of the hooks the shelving was torn down and the flames extinguished. The policemen and the fire department are deserving of great credit far [for] their prompt action, for had their movements been delayed for five minutes the whole block would have been at the mercy of the flames, for the reason there was no water in the hydrants with which to extinguish them. “The fact that it was public knowledge, courtesy of the Epitaph, that the fire hydrants would be dry during this period of time when the fire began, was enough to draw suspicion to the matter. Regardless of whether or not the Epitaph was wise in such a disclosure, just the timing itself made further investigation of paramount importance. Had the fire been allowed to proceed but minutes longer, the odds of surviving proof of its inception would be far less likely. But the physical evidence that was saved by such a quick reaction was at best, damning. What wasn’t nominal was the understandably high bail that was applied to Calisher after the arrest. “The examination of M. Calisher, charged with arson, was set for hearing at 10 o’clock” the following morning, “and the prisoner, in default of $10,000 bail, was committed to jail.” It was to Calisher’s favor not to pay the bail at this time even if he could afford to. Tempers were running high and his safety was very much in question. Calisher also stated that he became sick for a second time, and went “down to the Oriental saloon for some bitters…Defendant further stated that he went to the Bird Cage theater.” David Calisher was born January 19th, 1860, and was a young man of just twenty two years of age when this occurred. J.H. Todman had walked into the Calisher store and didn’t need to see the gunnysack stained with coal oil. He could smell it. He “testified to smelling coal oil very perceptibly in the air on entering the store; to being shown some sacks or rags that smelled of coal oil and were charred in places as if by fire. Benj. Cook also testified to the above facts.” An explanation would have to be presented to counter the effects of those two testimonies, or Calisher’s hopes for freedom could diminish. This testimony could complicate the prosecution’s case. But several other witnesses, though not necessarily contradicting Mulligan’s testimony, presented the prosecution with a good argument for Calisher’s guilt. “Mr. 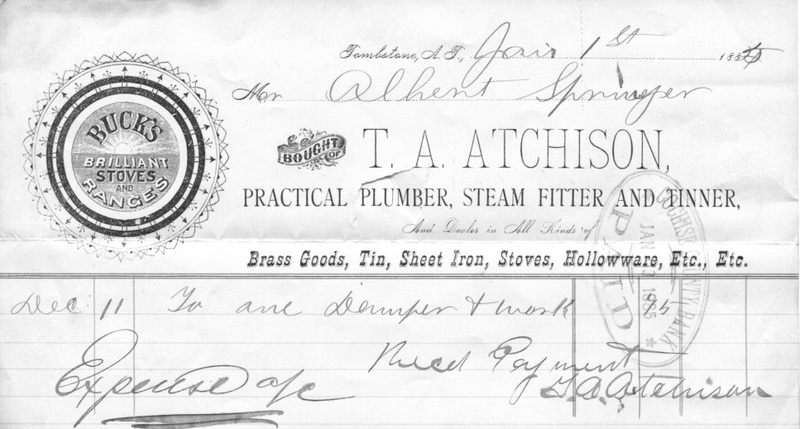 T. A. Atchison was called as the first witness [on the third day of the examination]. He testified to having seen the defendant going toward the rear of this store, between the Delta Saloon and said store, about 10 o’clock on the night of the fire, also, to having been at the fire. Frank Platz and Louie Zorn were then sworn, and both testified that they had seen Calisher coming from the rear part of this store some little time before the fire. Thomas Andrew Atchison testified as to David Calisher’s movements the night of the fire. Original Atchison billhead, signed by him, from the collections of John D. Rose. David Calisher lived far beyond the point of his near lynching while in Tombstone. Rather then spending years in jail for arson, he became a successful merchant in Yuma and later married. He died on January 31st, 1932, at the age of 72, at the Pioneers Home in Prescott Arizona. Seven years after his near lynching in Tombstone, David Calisher is now a merchant in Yuma, Arizona, and in this advertisement cautions his customers to not buy from others who sell “infected goods…put up in cans and palmed off on an unsuspecting public.” Arizona Sentinel, October 26th, 1889. David Calisher is advertised for selling “the safest and most brilliant illuminating oil…” Such an irony would not be lost on those who had known Calisher when he was accused of using a similar product to attempt arson while in Tombstone. Arizona Sentinel, April 19th, 1890.